This perfectly delicious blend of high quality red chilies is excellent for enchiladas, chili, tamales, stews and soups. 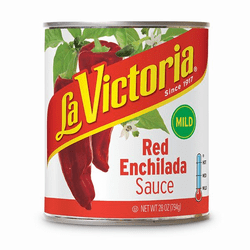 La Victoria is a mildly spicy red enchilada sauce, that will give your enchilada dish an unforgettable flavor. This product is excellent for those who prefer foods that are not too spicy, as this can be used on other dishes especially tortilla based recipes. It will a spicy kick of flavor that is so delicious, you will savor the flavor of Mexico. Salsa para Enchildas Roja poco picante con jitomates molidos, chiles, cebolla, ajo y cilantro. Salsa taquera La Victoria. 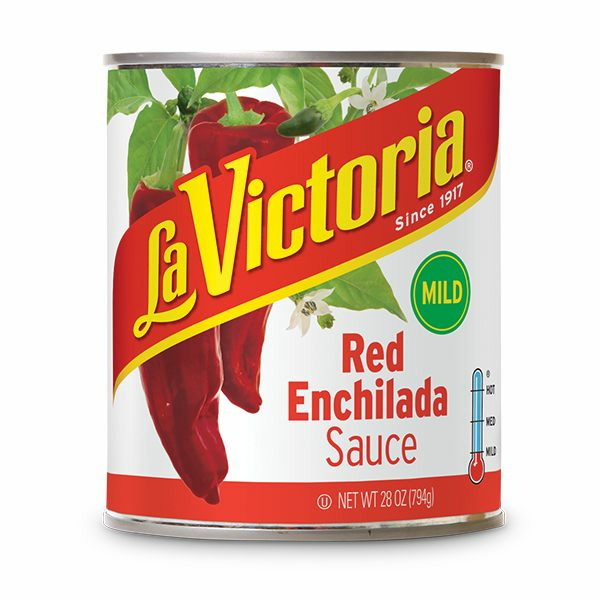 La Victoria es una salsa roja para enchiladas que es ligeramente picoso, y le dara un sabor inolvidable a tus enchiladas. Este producto es excelente para aquellos que prefieran platillos que no sean tan picantes, ya que puede ser usado en otros platillos incluyendo recetas con tortillas. Le dara un toque de sabor tan delicioso, que disfrutaras el sabor de Mexico. if you make your chili with a tomato base stop, use this. The difference between this and a tomato is light year in taste. The only way to make chili is to use a red sauce as a base not tomato. This is the best tasting enchilada sauce by far. I live in a state that doesn't sell it in our area. It is worth the shipping to use this product. I cook Mexican food for all my friends using this and the I use the Green Sauce too!!! I thank MexGroc. for all the help they give. They have great customer service. A Tennessee buyer. I have tried many sauces that our out there and this is the best. I can't find in our local store, so I order it online.